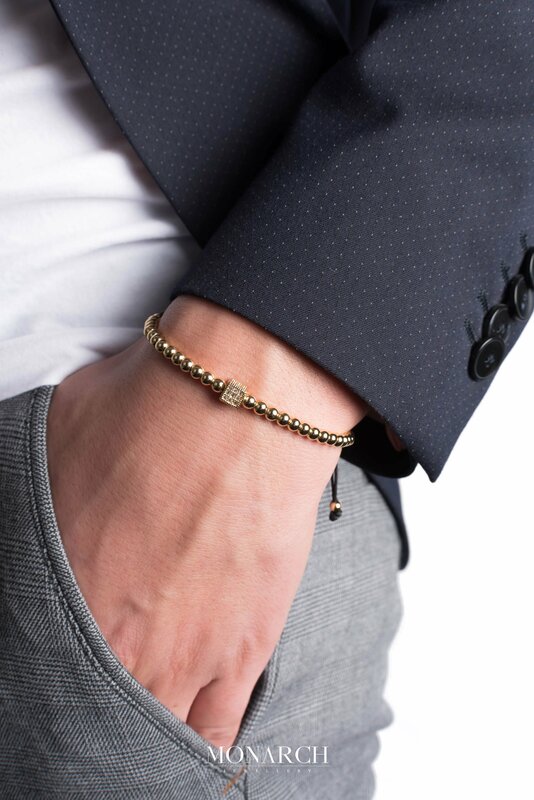 The 24K Gold Cube Macrame Bracelet is a unique bracelet that comes in style whenever you need a change. These 24kt gold rose plated bracelets are taking the luxury style to the next level and this Monarch unique creation is no exception. 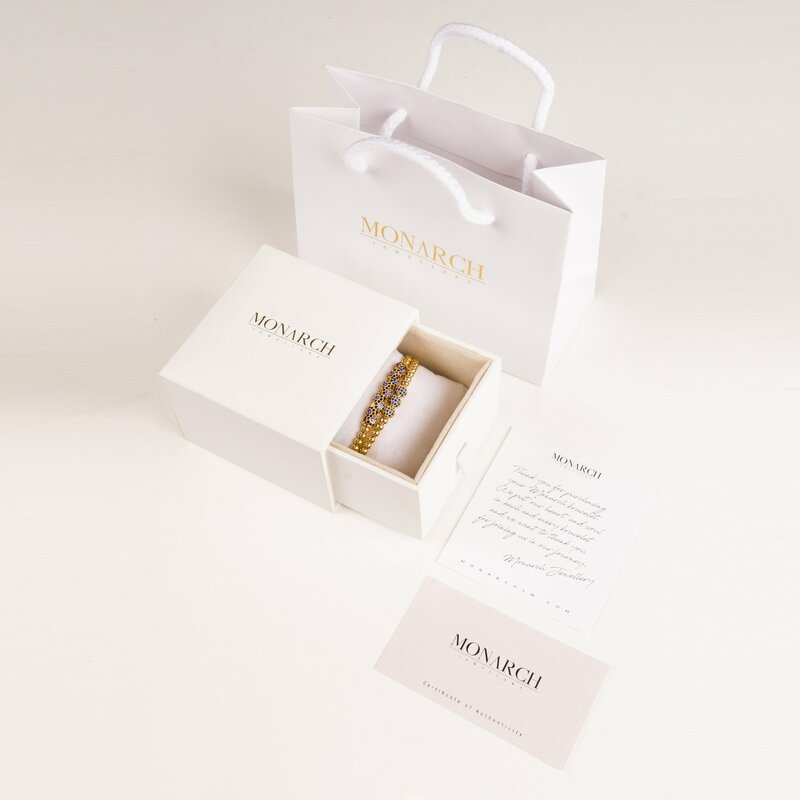 Simple, yet effective, the 24K Gold Cube Macrame Bracelet is encrusted with white zircon crystals that offer the ultimate finesse and also it can be mixed with another Monarch bracelet to create your unique style.